COMPANY PROFILE Aiful Corporation is engaged in consumer finance. The Company also provides unsecured loans for individual consumers, secured loans, small business loans, shopping loans, credit guarantee, debt collection. Aiful Corporation provides consumer financing and consumer credit services exclusively in Japan. The company operates and reports results through four segments: its loan business, its credit card business, and its credit guarantee business, as well as its other segment. The company generates nearly all of its revenue through interest and its largest contributor to revenue is its loan business. The vast majority of the company’s loans on its books are unsecured. Other loans include mortgages and small-business loans. The company handles its credit guarantee services in tie-ups with commercial banks. 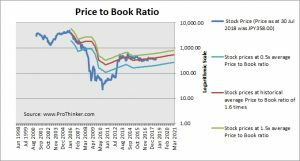 At the price of JPY358.00 as at 30 Jul 2018, Aiful Corp is trading at a Price to Book Ratio of 1.4 times current book value. 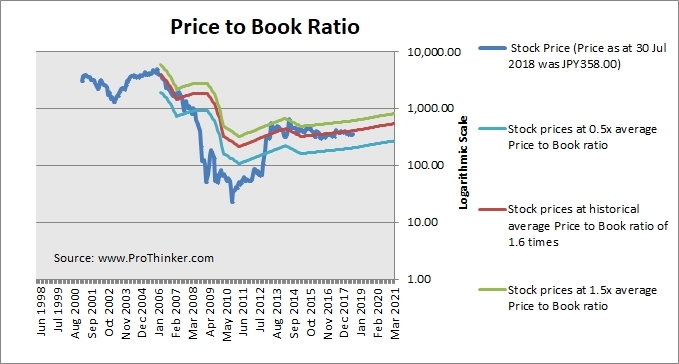 This is a 13% discount to its historical average Price to Book Ratio of 1.6 times.